Just after midnight (May 10, 2018), Deputy S. Hammons travelled to 162 Sycamore Drive, Harriman for a warrant service on Cameron Simpson. 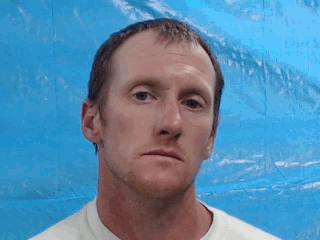 Mr. Simpson was verified by central dispatch to have six active Roane County warrants in-­hand . Upon arrival at the residence, contact was made with Mr. Simpson, who was positively identified by name and date of birth. While on scene contact with Mr. Simpson’s wife Rachel Simpson, who was found to have an active Roane County warrant for misdemeanor failure to appear. Due to Mr. and Mrs. Simpson having children at the residence who required care, no immediate action was taken in regards to Mrs. Simpson’s warrant with the agreement that she would turn herself in the following day once arrangements could be made for the children. Mr. Sampson was arrested and transported to the Roane County Detention Center for processing on the following charges: 5 counts of Fraudulent Use Of Credit or Debit Cards and a failure to appear charge.